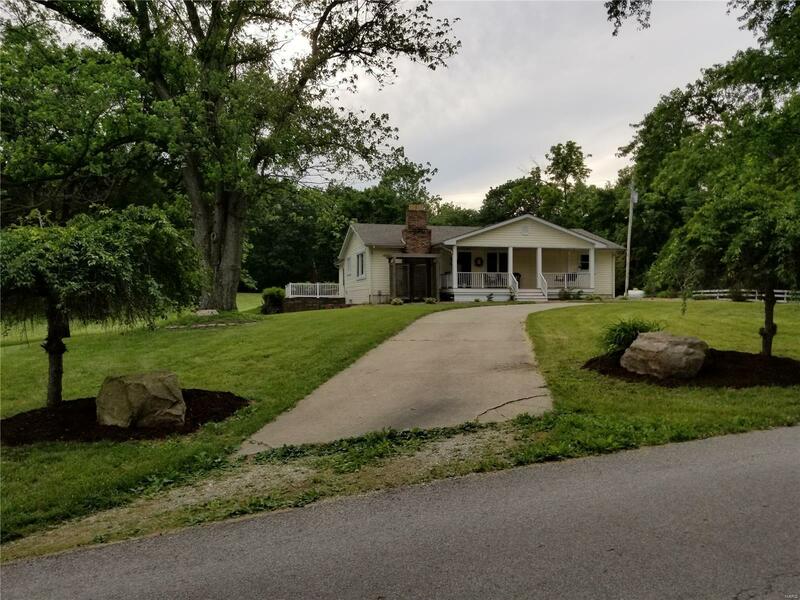 Checkout this 3 bed 2bath home located on 3.5 acres with roughly 1.5 acres of timber, home features updated kitchen, both bathrooms, hardwood floors, walkout finished basement, gas fireplace, covered front porch, concrete patio, 1 car attached garage and 30x54 pole barn. This house has a very private feel just minutes from town. Set your appointment today!! !